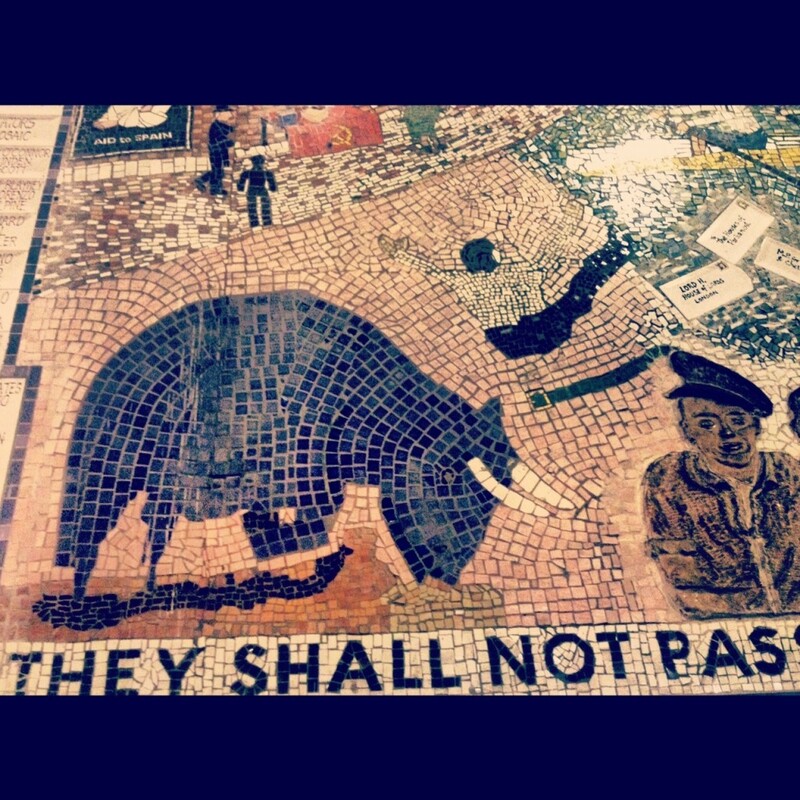 Photo of mosaic under the Westway on Potobello Road, London W10, commemorating the Spanish refugees who fled Fascist Spain and those men and women from Kensington who fought in the International Brigade and supported the Spanish Republic during the Spanish Civil War of 1936-1939 against Franco and his Fascist allies. This entry was posted on 18 October, 2012 in homepage and tagged Echoes of Spain 1936-39, Julie Goldsmith, No pasaran, They Shall not pass. Bookmark the permalink.